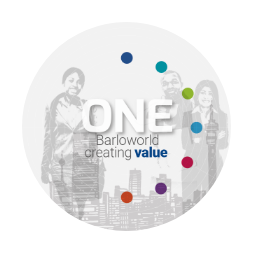 We have undertaken a limited assurance engagement on selected subject matter disclosures to be published in the Barloworld Limited Integrated Report and GRI Modular Response (the Reports) for the year ended 30 September 2018. The subject matter comprises the key sustainability performance indicators disclosed in accordance with management's basis of preparation, supported by the GRI Sustainability Reporting Standards (GRI Standards) and the Greenhouse Gas Protocol (GHG Protocol) Corporate Standard, during the year ended 30 September 2018. The company's directors being the responsible party, and where appropriate, those charged with governance are responsible for the sustainability key performance indicators information, in accordance with management's basis of preparation, supported by the GRI and GHG Protocol. Designing, establishing and maintaining internal controls to ensure that the sustainability key performance indicators are properly presented in accordance with management's basis of preparation, supported by the GRI and GHG Protocol. We conducted our assurance engagement in accordance with the International Standard on Assurance Engagements (ISAE) 3000 (Revised), Assurance Engagements Other Than Audits or Reviews of Historic Financial Information. This standard requires us to comply with ethical requirements and to plan and perform our limited assurance engagement with the aim of obtaining limited assurance regarding the subject matter of the engagement. We shall not be responsible for reporting on any sustainability key performance information beyond the period covered by our limited assurance engagement. The firm applies International Standard on Quality Control 1 and accordingly maintains a comprehensive system of quality control including documented policies and procedures regarding compliance with ethical requirements, professional standards and applicable legal and regulatory requirements. We have complied with the independence and other ethical requirements of Parts A and B of the Code of Ethics for Professional Accountants issued by the International Ethics Standards Board for Accountants, which is founded on the fundamental principles of integrity, objectivity, professional competence and due care, confidentiality and professional behaviour. We have performed our procedures on the sustainability key performance indicators of the company, as prepared by management in accordance with management's basis of preparation, supported by the GRI and the GHG Protocol for the year ended 30 September 2018. Evaluating whether the selected sustainability key performance indicator disclosures are consistent with our overall knowledge and experience of sustainability processes at Barloworld. Our assurance engagement does not constitute an audit or review of any of the underlying information conducted in accordance with International Standards on Auditing or International Standards on Review Engagements and accordingly, we do not express an audit opinion or review conclusion. We believe that our evidence obtained is sufficient and appropriate to provide a basis for our limited assurance conclusion. In a limited assurance engagement, the procedures performed vary in nature and timing from, and are less in extent than for, a reasonable assurance engagement. Consequently, the level of assurance obtained in a limited assurance engagement is substantially lower than the assurance that would have been obtained had we performed a reasonable assurance engagement. Accordingly, we do not express a reasonable assurance opinion about whether the sustainability key performance indicators have been presented, in all material respects, with management's basis of preparation, supported by the GRI and GHG Protocol. Our report does not extend to any disclosures or assertions relating to future performance plans and/or strategies disclosed in the Reports. The maintenance and integrity of the Barloworld website is the responsibility of Barloworld management. Our procedures did not involve consideration of these matters and, accordingly we accept no responsibility for any changes to either the information on the website, the Reports or our independent assurance report that may have occurred since the initial date of presentation. Based on our examination of the evidence obtained, nothing has come to our attention that causes us to believe that the selected sustainability key performance indicators, as set out in the subject matter paragraph (of our report) for the year ended 30 September 2018, are not prepared, in all material respects, in accordance with management's basis of preparation, supported by the GRI and the GHG Protocol Corporate Standard. Our work has been undertaken to enable us to express a limited assurance conclusion on the selected subject matter to the directors of Barloworld in accordance with the terms of our engagement, and for no other purpose. We do not accept or assume liability to any party other than the entity, for our work, for this report, or for the conclusion we have reached.